I had no intention of hitting up target today for the Marimekko collab. It was barely on my radar, certainly not a priority. However, when 3 different VIPs from different phases of my life all texted me reminders...I felt maybe they know me better than I know me? And I made some time to get to the bullseye. 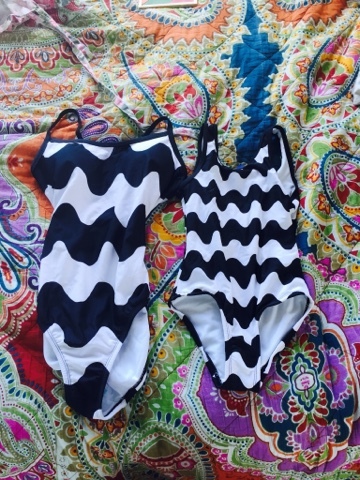 I scooped up a few sweet finds, including this mom and me bathing suit situation...which will serve us well the next 2 days...because I am taking the kids here. Am I amazing or crazy?